Simple hand operation delievers a variety of soaps and disinfectants. • Manual dispenser: No need for any power source. Can be installed anywhere. • Low profile, wall mounted design: Won't obstruct hallways, and dispenses downwards for great hand coverage. • Disposable bottle system: Non refillable bottle-pump system stops contamination risk. Ready to use bottle shortens bottle replacement time. 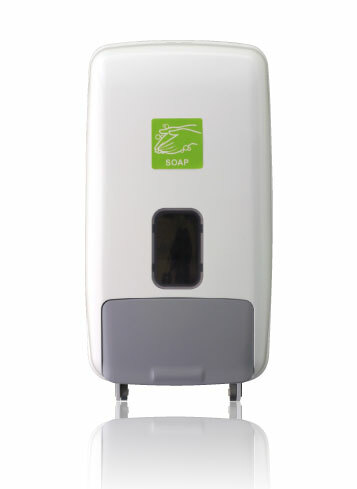 How to use : Press the the dispensing button dispense a premeasured amount of soap or alcohol spray.